VERY IMPORTANT 2018 APPLICATION CHANGES! The Virginia Sheriffs’ Scholarship program was established to provide an opportunity for young people across Virginia to pursue an education in criminal justice. Accordingly, the Board of Directors has established the application process for students to receive scholarships to assist in their educational endeavors. The scholarships are available only to students in jurisdictions where sheriffs participated in scholarship fundraising efforts. This program is limited to students attending Virginia colleges and universities. A. 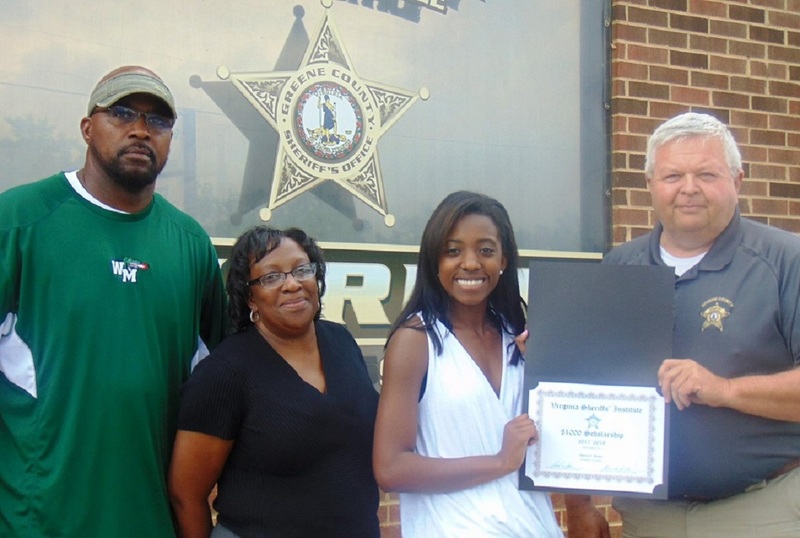 Students must be a permanent resident in a Virginia county or city where their sheriff is a member of the Virginia Sheriffs’ Institute (VSI) and has authorized the VSI to conduct a direct mail special appeal to raise funds for the scholarship program. B. Students, 18 and older, must be registered Virginia voters and provide a copy of their voter registration card. Students under the age of 18 are required to provide a copy of a picture ID with their home address, providing proof of residency. Applications will be mailed from the Virginia Sheriffs’ Institute office to the sheriffs’ offices by January 31, 2018. Applications can also be found on the VSI website. Applications must be received in the Virginia Sheriffs’ Institute office by May 1, 2018. Postmarks will not be accepted; however, faxes will be. The deadline will be adhered to. Two types of scholarships will be awarded, one to full-time students and one to part-time students. All the scholarship awards to students will be consistent, i.e. all check amounts will be the same, depending on the type. Only majors in the criminal justice field will qualify for a scholarship. Those majoring in law or pursuing a career as a lawyer will not be considered a criminal justice major. Only students accepted to Virginia colleges and universities will be considered. Certificates of award will be mailed to the individual sheriffs’ offices by the end of May 2018. Under verification by the students of chosen college/major, checks will be made payable to the educational institution indicated on the application. College or university student IDs will be required to issue a scholarship check. Letters of rejection will be mailed to students directly from the VSI office. Letter of Recommendation from Local Virginia Resident Sheriff? Attending Virginia College or University? Application Received in the Virginia Sheriffs’ Institute’s Office by May 1, 2018 (postmarks not accepted)? High School Transcripts attached for incoming freshman applicants only? College Transcripts attached for currently enrolled college students? College student’s transcripts must provide major. Proof of Acceptance from College or University Attached for incoming freshman applicants only? S.A.T. and/or ACT Scores Attached for incoming freshman applicants only? For Students 18 and older, a copy of voter registration card attached? For students under 18, a copy of a picture ID with home address attached? To access the online scholarship application, please check back here January 2018. ► Click here for details.